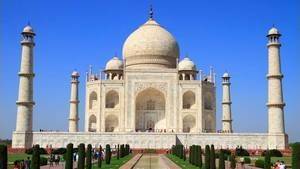 The Taj Mahal is beautiful, it seems as beautiful nowadays as it used to be, and that although we suspect that the pollution of the air, all around, is not favorable to him. In fact, it is true that it has not suffered much outrage during its long existence, but it is good since the industrial era that it is most threatened. It is the acid rain that is most dangerous for the monument. Indeed, the inadvertent emission of sulfuric oxide, due to road traffic, causes acid rain. This rain colors the Taj Mahal yellow, tarnishing it, and, worse, it erodes it, attacking what is most fragile at first: the sculptures and incrustations of stone. The authorities have, relatively recently, understood the stakes and put in place adequate measures, at least initially. 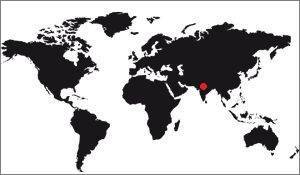 Since 1994, no new factory can be established in a protected area of ​​10,400 square kilometers around the Taj Mahal. On the other hand, and this is the disadvantage, it is difficult, for obvious economic reasons, to move the existing factories, so they have been obliged to comply with the anti-pollution standards specially enacted for this zone. But of course, they do not have the means, and since the Supreme Court has defined them, nothing has really been done about it, the existing factories continue to pollute just as much. On the other hand, the automobile pollution has largely been reduced in the sector since no motor vehicle is allowed to circulate in a radius of 4Kms. And that, it is respected, proof of the effectiveness of the Indian government when it is not impregnated in economic problems quite understandable. In addition Yamuna, the river that passes next to the monument, also goes to Delhi, 150Kms further north-west. Now Delhi is a city heavily equipped in terms of polluting industry, this pollution is inevitably found in the river and reaches Agra very quickly. The increase in water pollution had an astonishing consequence: Algae proliferate, and with them harmful insects, especially a local variety of mosquitoes, the chironomids. It is a variety of Diptera. Now, these mosquitoes make green droppings, the color of the algae they feed on. The mausoleum is regularly browned by these droppings that must also be cleaned regularly. Fortunately marble resists these droppings which, obviously, are not enough corrosive. Moreover mosquitoes are a nuisance for visitors, again we see the impact of the polluting human activity on tourism. Another source of danger for the Taj Mahal, the water level of the Yamuna. This level has greatly decreased since the time of the construction of the monument, and this because of human activity since a city of 1.7 million people consumes much more water than the population of the time, much weaker. The water was therefore largely punctured and the level of the river mathematically down. the problem is that the stakes that support the mausoleum's terrace are made of wood and as long as they are in the water, they are gorged and hold on. In the open more and more often they become brittle, risking to move land under the monument and thus jeopardize the stability of all buildings therein. To fight against the darkening of the mausoleum it is necessary to take the problem upstream and work on the depollution of Agra, in the general sense. Attempts to comply with anti-pollution standards are proposed to the factories of the city but face economic problems. The state government still makes great progress in creating the famous area in which road traffic and dedicated to electric vehicles, but this is not enough. Remains that once the mausoleum has tarnished, it must restore its whiteness by the application of a mask of beauty. This is covered with a clay paste containing natural or artificial products that have the ability to remove stains. This means is widely used, regularly, and that's what keeps it in good condition, as long as the problem of global pollution is not resolved. It would cost, according to some sources, $ 230,000 each time.